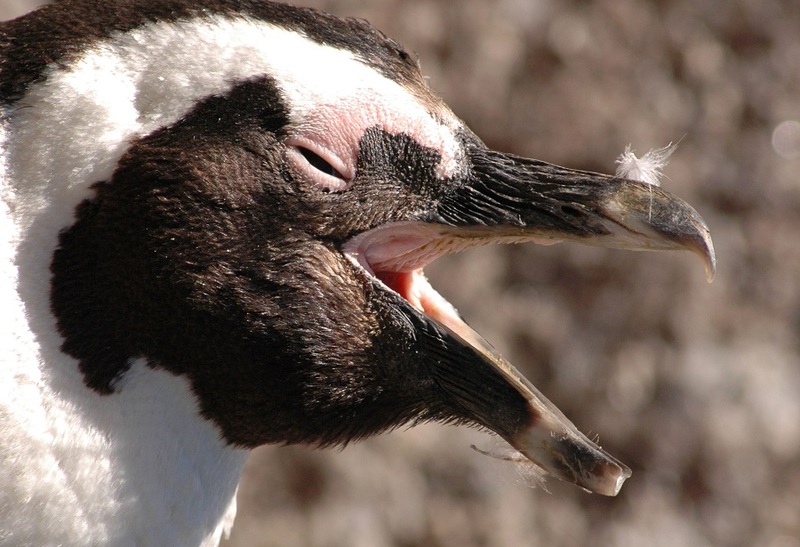 Facing extinction- African penguin- Photo by David Grémillet. In a study published today in Current Biology, researchers found that annual seabird food consumption decreased from 70 to 57 million tonnes between 1970 and 2010. Meanwhile, fisheries increased their catches of potential seabird prey from an average of 59 million tonnes in the 1970s and 80s to 65 million tonnes per year in recent years. This diminished food supply is putting seabirds at risk – making them the most threatened bird group – with a 70 per cent community-level population decline in the past seven decades. The researchers mapped where seabirds caught their prey, calculated how much and what they consume based on what is known about their diets and caloric intake, and compared that information against the Sea Around Us initiative’s global maps of fisheries catches of species targeted by both seabirds and fishing boats. Palomares explained that urgent action is needed because not only are seabirds starving to death as they engage in unfair competition for food with massive vessels, but they are also getting tangled in fishing gears and on the large amounts of plastic waste floating on the world’s oceans. “On top of this, they are threatened by oil pollution, the introduction of non-native predators to their colonies, the destruction and changes to their habitats by human activity and environmental and ecological changes caused by climate change. If we don’t do anything, seabird populations are going to collapse,” the Sea Around Us researcher said. 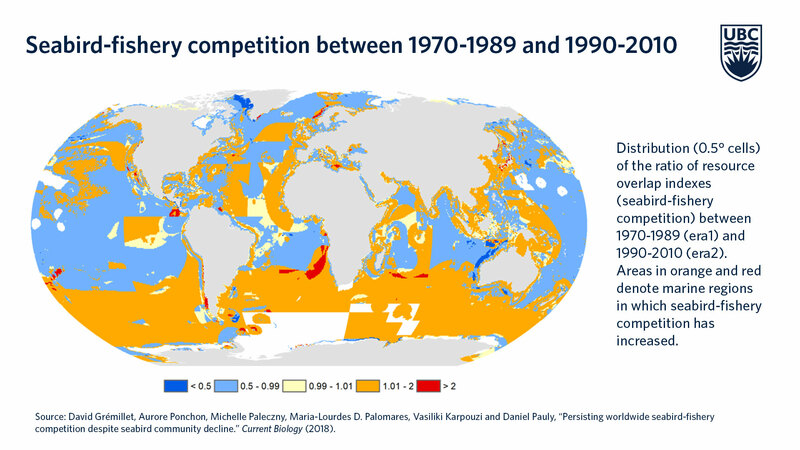 The paper “Persisting worldwide seabird-fishery competition despite seabird community decline” was published today in Current Biology https://www.cell.com/current-biology/fulltext/S0960-9822(18)31418-0#sectitle0065.